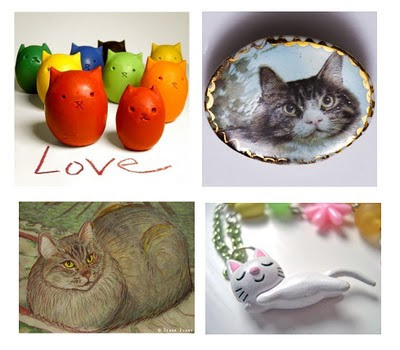 Even I didn't have a cat yet, I love cats.So this weekend's picks are from cute cats!. awwww cute little kitty cats! :) LOVE! Hi Viola!!! thank you for featuring my work on your blog!!! I love this fun feline collection!! !